Few artists can claim to have single-handedly invented a musical genre but Clifton Chenier comes very close. 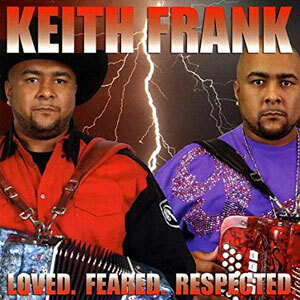 There were obviously antecedents to his style of music but it’s a good bet that if he had never come along zydeco would be very different—or possibly not exist at all. The undisputed “King of Zydeco” for over four decades, Clifton mixed Cajun and Creole French music with blues, R&B, and rock & roll, and virtually invented both the musical style as well as the name, “zydeco,” which is derived from a song he popularized, entitled “Les Haricots (phonetically Zydeco) Sont Pas Sales.” He is also credited with designing the modern rubboard ‘vest’ which is now used by most zydeco bands. Playing the accordion and singing, Clifton was a real showman on-stage; smiling, he displayed a shiny gold tooth, and he often wore a cape and crown during his performances. Playing with his Red Hot Louisiana Band, which featured brother Cleveland, tenor sax player Blind John Hart, and guitarist Paul Senegal, Chenier helped popularize zydeco in America and Europe. Born in Louisiana to sharecropper parents in 1925, Chenier was taught to play the accordion by his father. He was influenced by the recordings of Creole accordionist, Amedee Ardoin but also added elements of R&B, country, rock ‘n’ roll and swing to his two-steps and waltzes to his Louisiana musical heritage to come up with his own unique sound. 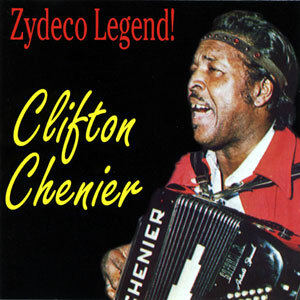 Clifton was a prolific composer and wrote many songs that are now standards of the genre, including “Tu Le Ton Son Ton,” “I’m Coming Home,” “Zydeco Cha Cha,” “Johnny Can’t Dance,” “I’m A Hog for You,” “Zydeco Sont Pas Sale” and “Hot Tamale Baby.” Chenier began suffering from diabetes and slowed his touring pace in the late 1970s. Clifton Chenier passed away in 1987.